In Five Steps to Creating a Winning $25k Blog I gave an overview of the steps vital to starting a successful blog. Today we’ll build upon that by getting into the specifics of step 1, determining your strategy. It’s a critical and often overlooked part of creating a winning blog, but if you put the time and effort into it, it can lay the groundwork for your future success. Before we get into the specifics, let’s begin with why this step is so important. Much more goes into developing a winning blog than simply creating a website. The most important work is done before you even turn on your computer. Having a great site starts with serious thinking about what the site will be about and, just as importantly, what it won’t be about. With this sort of focus you will set yourself up for great success down the road. Without it, you’ll be flying by the seat of your pants and perhaps you’ll get lucky and succeed. But based on past experience, the odds are great you won’t. In fact, I would say that the reason so many blogs are not successful and the owners give up trying is because they skipped this step early on in the development process. Now let me prepare you: this is some of the toughest work you’ll do as a blogger. It’s even a tough subject to write about since it’s so cerebral! But taking the time and effort to think through the points below will save you time and effort on the back end. It will make your work much more targeted and effective and give you the greatest chance of success. You may be tempted to skip this section and get on with the “real” blogging. Don’t do it! The time spent now will not be wasted. Don’t neglect it. Part 1: Find your Unique Selling Proposition. This is simply fancy lingo for knowing why your site is different than all the others. In other words, what makes your site different/unique/compelling from all the others and why should readers care (i.e. how does it help them)? Once you answer these questions, you have your USP! With it, your site will be on the road to success. Without it, you’re going to be a “me too” site at best and totally irrelevant at the worst. Mr Money Mustache’s USP was an entirely new concept in personal finance thinking — save a high percentage of income over a relatively short period and retire at a young age. His revolutionary philosophy spawned a whole sub-culture in the personal finance blogging world. Get Rich Slowly’s USP was the compelling story of how one man was climbing his way from debt to wealth, told with unparalleled and captivating writing. IMO, JD Roth is one of the best writers of all the money blogs out there. Financial Samurai’s USP is an often contrary look at money and economics, backed up by strong thinking, reasoning, and facts, then presented in a well-articulated, long-form post. Each of these blogs spawned many similar-but-different bloggers who have put their own unique spin on the original ideas shared by this trio. Another great example of how this happens is by looking at the White Coat Investor. As far as I know, he launched the category of personal finance blogs by and for medical doctors. He had the space to himself for some time, but eventually others came along and added their unique perspectives to the category. For example, Physician on FIRE started talking about doctors retiring early (Gasp! How could he even suggest that?!). Then Passive Income MD began to tell doctors (and others) how they can create passive income. Each of these later two were similar to the original (doctor blogs writing about money), but had their own different takes on the subject (FIRE and passive income) which made them unique in their own right. If you’d like more examples outside the personal finance space, check out these ten examples of killer USPs. In short, I’m not making this wealth stuff up as I go along. I write about what I know and what I’ve seen work for me. Almost all other blogs write from the perspective of trying to become wealthy, not from someone who is already wealthy. So my first point of differentiation was that I was already wealthy — I was writing about something I had already done versus something I was trying to do. This alone put me into a category that maybe only 5% of money bloggers fall into. But it wasn’t enough to make my site completely unique. So I coupled my experience/credibility with a simple and easy to communicate name and accompanying philosophy as detailed in What Does ESI Money Mean? That was it. That’s all I needed to start. As time went on, I established other areas of expertise that set me apart even more. My site had expertise in topics like growing your career, real estate investing, learning from millionaires, the ins and outs of retirement, and a few others (travel, highlighting those who pretend to be experts). These combined to create a site with a very unique set of competencies and content that all work together to make it an original. You need the same thing. You need to stand out. Otherwise, why would anyone read your posts? Sure, your story and personality are unique and that’s part of it. But you need more than that. What is compelling about your life story? Do you have a new/different philosophy that challenges the status quo? Are you an expert in a subject or series of subjects and can offer fresh thinking no one else can? Do you have a combination of skills, abilities, or experiences that makes you very unique? Do you know and write to an audience that no one else does or does well? Is any part of your life considered unconventional? Are you among the top experts in a field or two? There are almost an endless number of things that could set you apart, but you need to make sure that 1) you have something unique about you/your site and 2) it’s something people want. If you need more help in this area, check out The Ultimate Guide to Finding Your Unique Selling Proposition and Developing your USP: A step-by-step guide. Take the time to create some sentences that describe how you are unique in a way that benefits readers. Don’t worry if it’s polished at this point (we’ll get to that later). Even if it’s a set of ideas or thoughts, write them down so you know what makes your site special. Part 2: Detail your target audience. Even non-marketers have probably heard the term “target audience”. It means the group of people a product is meant for. Lexus is a brand targeted at people who want either luxury or prestige in a car. Tide is targeted at women, 25 to 55, with families/kids. Nike is targeted to athletes (professional and everyday) looking to increase their performance and look/feel good in their clothes. Apple is for tech-loving users who appreciate form and function. American Girl is for young girls aged 3 to 9 (my guess) who like to dress up dolls. Sure there are others outside these categories that buy these products (men buy Tide, seniors use Nike, and some adults collect American Girl dolls), but those sales are ancillary. The primary target is who the brands are marketed to. So who are you trying to reach? Men? Women? Millennials? Boomers? Young? Old? Eventually, you’ll have some data to back up your insights because 1) Google Analytics (which we’ll talk about in detail later) will tell you and 2) you can guess based on comments. Top 10 categories of interest include avid investing, business professionals, travel buffs, and health & fitness buffs. They have professional careers — business executives, doctors, lawyers, engineers, etc. Generally speaking, an avatar is the embodiment of a person or idea. However, in the computer world, an avatar specifically refers to a character that represents an online user. Avatars are commonly used in multiplayer gaming, online communities, and Web forums. List out their demographic and psychographic traits. Give this person a name, and grab a photo online. Design a dossier that details everything about your avatar. Write a story as your ideal customer avatar, a brainstorming exercise that may provide key insights. Even at this point, you’re still mostly guessing at who you’re going to be reaching. If you really want to know, you can ultimately take a reader survey (again, once you have enough readers). Personally I think some people get way too carried away here. Plus I don’t think there’s that much difference in results from having a “general” idea of who your target is compared to an “exact” idea (as if you can ever get there anyway). But an avatar (whether detailed or “light”) does help focus your site so you’re sure to give readers what they want. My personal target is much more general. I look for people who either are financially independent or who want to get there. The other facts (men versus women, where they are from, what device they use, etc.) do influence my thinking in various areas, but I really don’t change anything based on them. Others would disagree vehemently with me on this subject and maybe they are right. But I doubt it. One other thing: your target audience could switch a bit over time. It probably won’t make drastic changes, but you will need to re-visit the subject now and then to make sure your past assumptions still hold true. Part 3: Create a site summary statement. Now that you know what makes your site unique, who it’s for, and why they want to read, it’s time to summarize those into one, brief statement. You’ve heard of an elevator pitch, right? It’s just like that. An elevator pitch is a short description of an idea that explains the idea in a way such that any listener can understand in a short period of time. This description typically explains who the product is for, what it does, why it is needed, and how it will get done. An elevator pitch does not have to contain all of those components, but it usually does at least explain why the idea is valuable and what the idea is. The goal is simply to convey the idea in an exciting way. Unlike a sales pitch, there may not be a clear buyer/seller relationship. The name reflects the idea that it should be possible to deliver the summary in the time span of an elevator ride, or approximately thirty seconds to two minutes. My name is <NAME>, the CEO of <COMPANY>. Our company manufactures <PRODUCT> for <TARGET CUSTOMER> that allows them to <YOUR VALUE PROPOSITION>. Unlike <OUR COMPETITION>, we <PRIMARY COMPETITIVE POINTS OF DIFFERENCE>. You get the idea. A summary statement/elevator pitch is a very short (2-4 sentences) description that helps readers and potential readers know what your site is about. I started with one statement at ESI Money and have changed it as the site has grown and matured (it is ok to change it over time). I use my summary statement all the time, primarily when I do guest posts. It’s used to introduce myself to a new audience. ESI Money is a blog about achieving financial independence through earning, saving, and investing (ESI). It’s written by an early 50’s retiree who achieved financial independence, shares what’s worked for him, and details how others can implement those successes in their lives. Some of the above are stated outright while others are implied. Either way, potential readers get a clear idea whether or not the site is for them. BTW, do NOT worry or fret over those who say, “your site is not for me.” It’s a true statement — any given site is not meant for everybody. It’s meant for a target audience. You want the right people at your site anyway, so don’t be bummed when someone decides it’s not their cup of tea. You need to begin your journey to blog stardom with a summary statement. In addition to the above, you’ll want to determine whether you’ll write anonymously or not (if you’re writing a money blog, it’s common to write anonymously) and if so under what name. You can mention your name in the summary if you like. In past summaries I used my name as “ESI” instead of my real name, Bruce Wayne. I’m trying to keep my true identity on the down low. Part 4: Develop goals and strategies. Now to my favorite part — you get to lay out your blog dreams for the next few years! In this section you’ll list goals as well as strategies to reach those goals. At a minimum you want at least a simple two-year plan before you set up your site. I went for three when I started ESI Money. This plan can be as detailed or as simple as you want. You can write an entire business plan if you like as if you were going out and seeking investors. Personally, I prefer a simpler solution — a series of bullet points for both the goals and strategies. From looking at the numbers, you can see that my goals were modest compared to what I get today, but really they were pretty decent. BTW, they were all attained from Google Analytics except the Alexa number. Alexa lists the top sites in the world. In this case I wanted to be in the top 2,000,000 or better (lower). From looking at the strategies you can see that I was primarily focused on traffic. All the items except one (ads) were traffic related. This is how I think all new blogs should start and we’ll cover this later. We’ll also talk later in this series about why I believe you should start your site with ads. I’m still mostly focused on traffic, but I am doing a bit more on revenue as the site grows. I wanted to keep driving traffic while also monetizing the site more aggressively (one reason I went to FinCon last year was to find a few companies I could work with to do this). $300 a month didn’t seem to be too much to ask. The next year I’d be looking for much, much more. I thought guest posts would keep the traffic coming, so I wanted to stick with them. I would have been happy if I had hit these goals. Turns out I blew through them. I hit the 2017 goals in 2016 and surpassed the 2018 goals in 2017. So I am thrilled to be sure. I re-did 2018 goals last year, then I bought Rockstar Finance and had to re-do them again. Almost nothing went as I had planned. But you have a plan, work it, and adjust as you see what works and what doesn’t. I also probably underestimated what I thought could be done, especially on the revenue side (any site with 100k pageviews per month should be earning at least $1,250 a month). Then again, my goal was to hit that by the end of the year, not every month of the year. You will probably see similar differences between your plans and what actually happens. But setting goals and strategies still has a place and is worthwhile. I actually adjusted within the years once I hit each goal, just to keep myself challenged. You should do the same. You can be as detailed or as brief as you like. But you do need to know 1) what you’d like to accomplish and 2) how you plan to get there. You don’t need to complete the above with the tenacity of a CEO, but you do need to think about each part and put some effort into completing the tasks. Think these issues through. Write them down and revisit them regularly. They will keep you on track. Will these ensure that you’re successful? No. Have others been successful without them? Yes. As such, you may be tempted to blow these off. Do NOT do it! While they will not guarantee success (nothing will) they do give you a much better chance at it. Most of the items above will change over time as you get new information, reach some of the goals, and so forth. That’s fine. For now you’re making an estimate of what your site will be about and what it will accomplish. You’ll need to adjust over time just like any great business person. That’s it for Step 1. It’s a lot, right? Is there anything I missed? Any questions? For the next post in this series, see Five Steps to Creating a Winning $25k Blog, Step 2: Design a Great Website, Part 1. P.S. If you want to cut to the chase and start your blog now, I’ve worked with HostGator to set up a special deal for ESI Money and Rockstar Finance readers. To take advantage of it, simply go to this page then use code “25kBlog” to save a bundle at checkout! Or if you prefer a more robust solution, I recommend SiteGround 100% as well! When I first started I was flying a little by the seat of my pants. I then realized that most people in the physician finance space (and elsewhere) were spending a lot of time talking about strict Frugality and achieving their financial goals at all cost. It felt like we were often forgetting the “why.” And with a huge burnout problem in the medical community, I wed the idea of wealth and wellness. I think you are spot on with so many things here. I do need to sit down and make a two year goals list. I haven’t done that yet. That should have made sense to me early on given the need to create a financial plan of attack to obtain financial goals. I think you highlighting that things often change as you go is really important, too. It’s good to be able to adapt as needed. Awesome post, lots of detail here and things to consider. Amazing how you blew through your goals so quickly so that says a lot about the advice you’re giving out. I also need to make a goals list. Looking forward to the rest of this series for sure! Wow. Such great granular info. It looks like I need to go back to the planning stage. Thanks for this insightful list of details. This was my first year, so I did not have any goals. I am going to try to mimic your steps. Getting people to sign up for my email list has been an issue. I need to consider a nice giveaway. I really like the step-by-step instructions for setting up your strategy. Some of this stuff I’ve done and some really got me thinking about things I need to do. Thank you for the wonderful advice! Thank you ESI! This is amazing and I’ve bookmarked for referencing as I dive deeper to go through these steps on my own new blog. You’ve laid this out in an easy to digest way that’s full of value and great examples to take and run with so we can implement ourselves. I heard you describe your goal setting technique on Do You Even Blog too, this is something I’m good at in my professional life (also in brand marketing) but not so adept at in my personal/side hustle life. Appreciate all the great content – cheers! Yes, my professional career has helped a lot in this process. The next podcast on my playlist is actually your appearance on ChooseFI discussing Career Hacking. 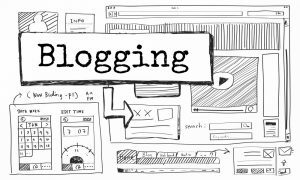 But this post is about blogging so I won’t get on a tangent! I hope I get taken outside into the parking lot to the school of hard knocks so I too can start to test, learn and grow with the new blog. Happy Saturday – thanks ESI. This is a great article, ESI. Thank you. I’m about 5 months in and find that I love blogging, but I have not been posting regularly. I’m going to do some more planning as you recommend. 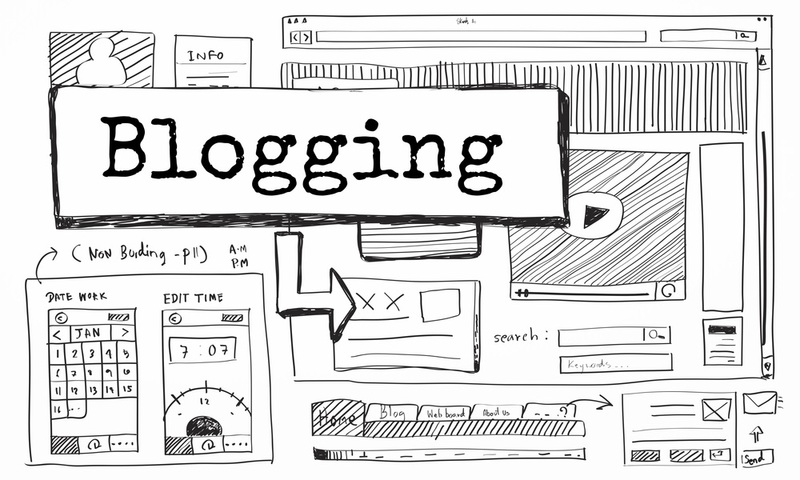 I get busy reading and commenting on others’ blogs, too, and need to find a better balance of my own writing time, reading/connecting with other bloggers time, and posting on social media time. Thank you for the great advice and the sample annual targets. As you’ll see in the traffic post later in this series, how often you post is directly related to how much traffic you get. Congratulations on reaching your goals and thanks for the added motivation. Blogging will always pay off to those who remain dedicated to it. Man ESI, if you took 5% of the thinking it took to write this, divide it by half is how much planning I took when I started my blog. Oh dear…I have some recreating to do. Super helpful sir! Haha! I’m sure you did quite a bit more than that…but I appreciate the encouragement! Great stuff Bruce Wayne. I wish I’d read this when I started instead of the typical “start a blog, it’s easy” post. I have a much better idea of my avatar and category now. I’m targeting smart people that don’t have a background in accounting and finance. I’m all about helping them make effective financial decisions. That could mean spending less but does not necessarily have to. WinningPersonalFinance is about achieving ones goals and living the life you dream of. It’s not at all about deprivation. I thank you for sharing your expertise. Your presentation is really thorough and the information is priceless. You’re wealthy yet still inspired and driven. Being wealthy, I’d like to know how you stay focused and motivated to keep on blogging? It’s interesting and fun to me…it’s that simple. This was a great read. I just e-mailed it to myself and will be printing it out and setting 2018 goals next week. We are going to use these steps as we plan our new site! It’s really critical because there are two of us working on the site too. Having a clear message that we both agree on is key! We may make a good case study for you down the road. We are certainly lucky that you are putting these out as we are getting started! Great tips. I will try to come up with some discrete goals. My blog has been up for 2 weeks. I have gotten 3400 page views. I am excited. I thought about who I wanted to reach for a long time. I am another physician blogger. My target audience is a high net worth individuals with no pension or health insurance. I am getting lots of positive feedback from other docs that I virtually know through the WCI forum. I agree that there is a lot of duplication in the doc-financial blog world but no one targeting the retiring physician except for me. Awesome post ESI, really helpful information! Love how you’re going in-depth with how much thought, time, and effort it takes to create a successful blog. One question I had for you, do you think those guest posts early on ended up being instrumental towards your growth? I’ve seen some bloggers say to guest post as much as possible, and some say to stick to writing content for your own site and growing that way. Would love to hear your thoughts. Yes, I do, as you’ll see when we get to the posts on traffic. It’s not one or the other to me — you can write for your own site AND for others. I like this – even though my blog is pretty much more for my development and not to be a runaway success, these ideas – USP, goals, etc – can definitely help me in that area. I really need to update my about page, and I like the idea of including a natural-sounding USP on it, even if it says the blog is mostly for me developing skills. Also, I hadn’t looked at my audience details (location, gender, age, etc) in Google Analytics forever. Just looked at it, and I’m very close to 50/50 male/female, with most people in the same age range as me. Very interesting. Just writing to say thanks for taking the time to break down this blog stuff into more detail. Lots of excellent tips and pointers in this article. Found about ESI through a comment you posted, I believe, on MMM’s blog a year ago and never missed a single post on ESI since. By far my favorite place to go to in the cyber space! Thanks for sharing your plan. I feel like I have a path to follow. It is easier said than done. The physician finance space is definitely getting crowded. Three others left comments above. Very cool series! Super helpful to those just starting out or in the first year or two. One has to really love blogging to grow their sites. So much work! But, it’s fun if you like to write. I plan on taking it easier in 2019 once I reach my 10 year anniversary on July 1. It feels good to finally see the finish line.